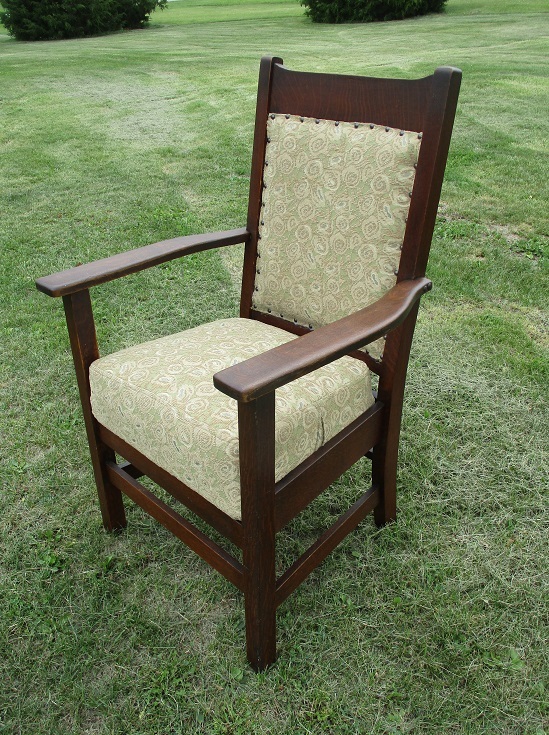 Mission Oak Arm Chair labeled “Cochran Chair Company,” of Aurora, Indiana. Newly upholstered with Arts & Crafts fabric from Archive Edition. This is a comfortable chair with the padded back; upholstery is also on the backside.